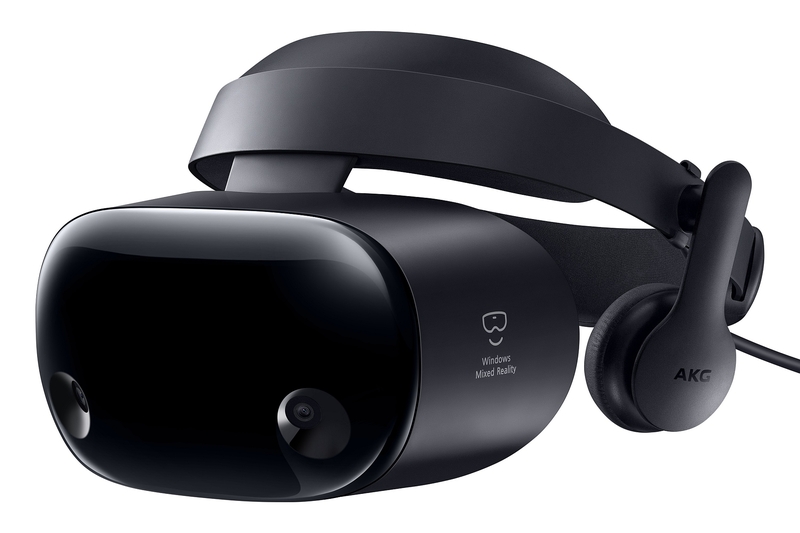 Samsung has announced an upgraded version of its HMD Odyssey Windows Mixed Reality headset, called the HMD Odyssey+. As expected, the upgrade comes in the form of a new display, one that has Anti-Screen Door Effect (Anti-SDE) technology. The display resolution remains the same as the original headset (2880×1600), but the anti-SDE tech will reduce the chances of users seeing gaps between pixels. The screen door effect is one of the major drawbacks associated with virtual reality headsets. Despite a high pixel density of 1,233 PPI on the dual 3.5-inch AMOLED displays inside the HMD Odyssey+, the proximity of the user to the displays means pixelation can be visible in various kinds of content. The screen door effect can also cause dizziness or nausea in some folks. According to Samsung, the anti-SDE AMOLED display works by applying “a grid that diffuses light coming from each pixel and replicating the picture to areas around each pixel.” The Odyssey+ also has wider eye boxes (146mm vs 138 mm on the original) to better fit the user’s eyes, with breathable anti-fog material on the face padding preventing mist build-up around the eyes. The rest of the features are carried over from the first Odyssey. You get premium AKG-tuned audio with 360-degree spatial surround sound, built-in dual microphones that support Cortana, and 110 degrees field of view and a 90Hz refresh rate for the dual AMOLED displays. The HMD Odyssey+ comes bundled with two motion controllers with six degrees of freedom (DOF) for a full range of three-dimensional movement, along with HDMI 2.0 and USB 3.0 ports for connecting to a Windows-powered computer. It also supports the Steam VR platform. The Odyssey+ will go on sale in the US today with a price tag of $499.99 from the Microsoft Store and Samsung.com. Availability will expand to Korea, China, Hong Kong, and Brazil, among other countries, at some point in the future.